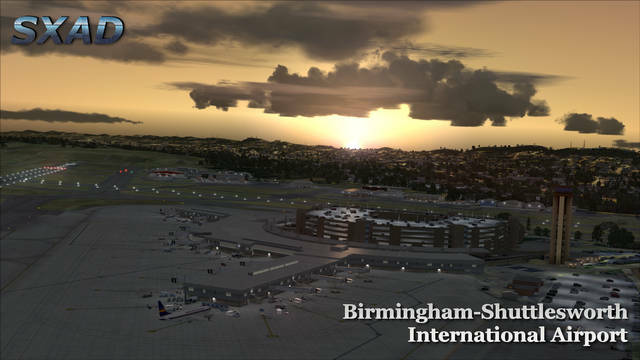 Birmingham–Shuttlesworth International Airport (IATA: BHM, ICAO: KBHM, FAA LID: BHM) is the primary and joint civil-military airport for the city of Birmingham (Alabama, USA) and suburbs. 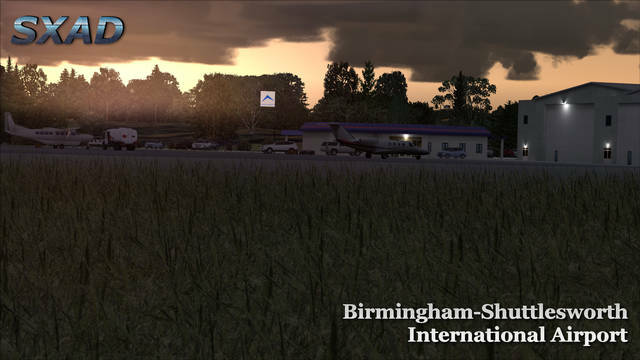 It is located north-east of the city, in Jefferson county. 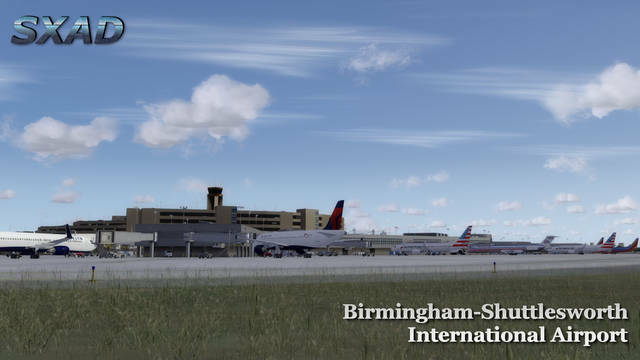 With an average of 259 operations daily, and 43 destinations in 40 cities, BHM is the busiest airport in the state with around 2.6 million enplanements per year. 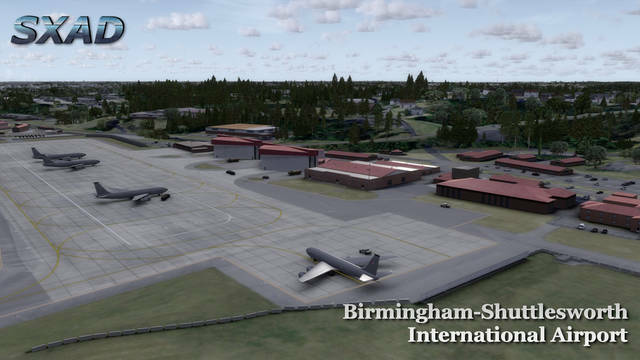 It also includes a separate cargo terminal used by several cargo airlines and the US Air National Guard 117th has its base on the airport. 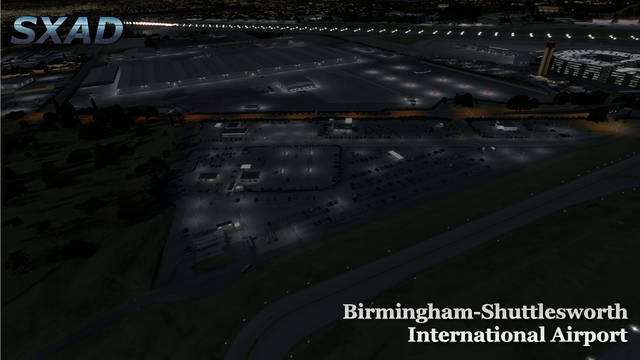 The airport has undergone many recent improvements, including new A, B and C concourses in 2014 and an extended runway. 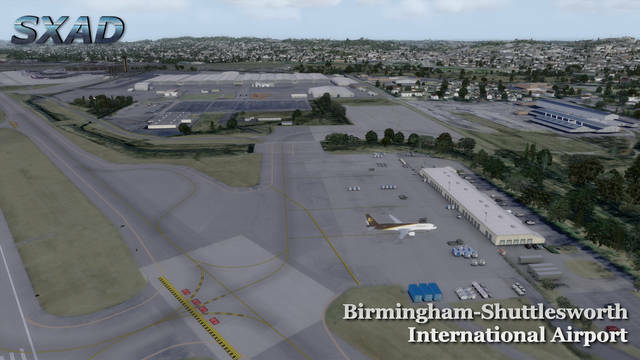 This airport requires user activation in FSX or Prepar3D. 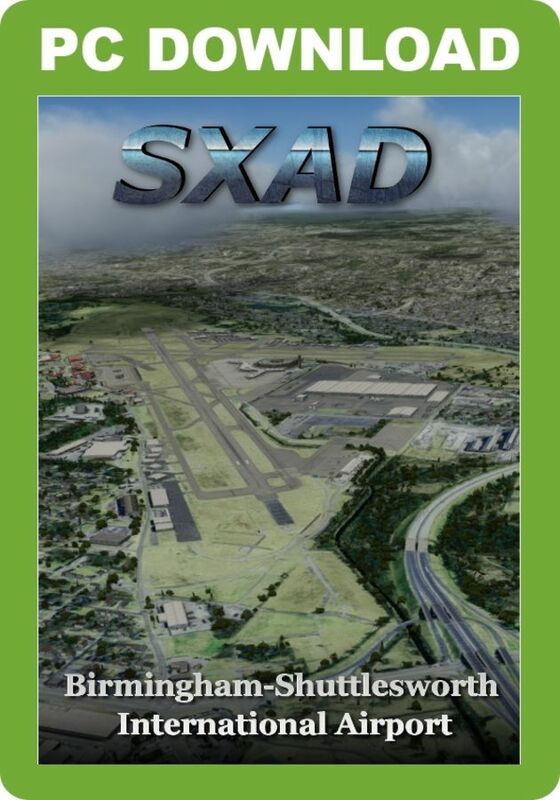 Airline terminal static aircraft are NOT included. 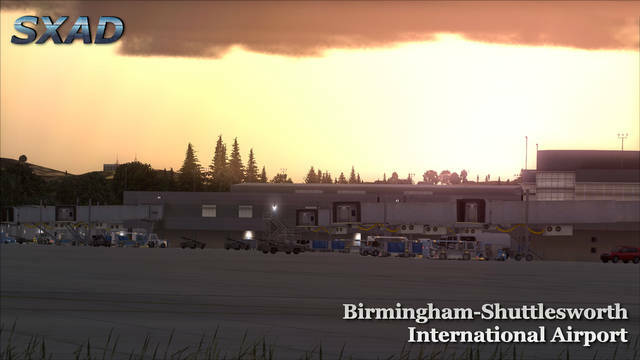 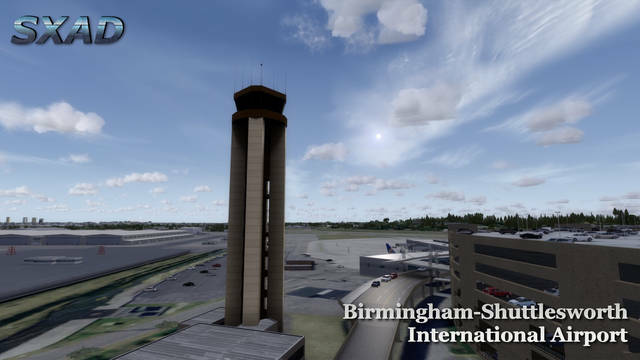 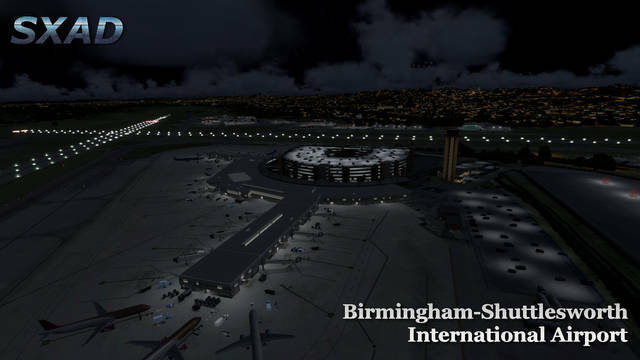 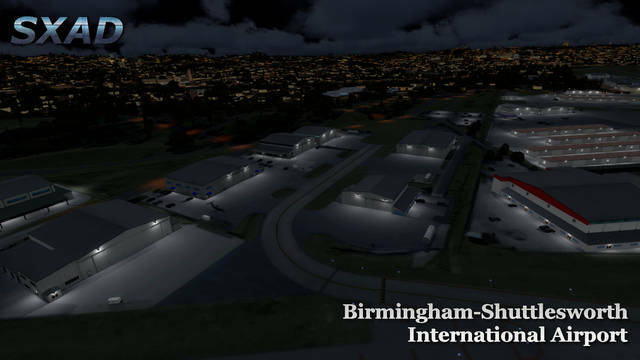 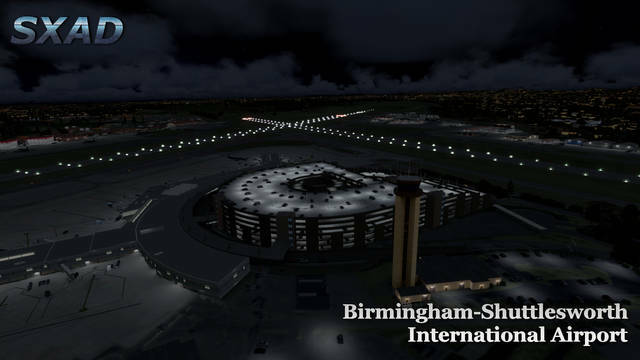 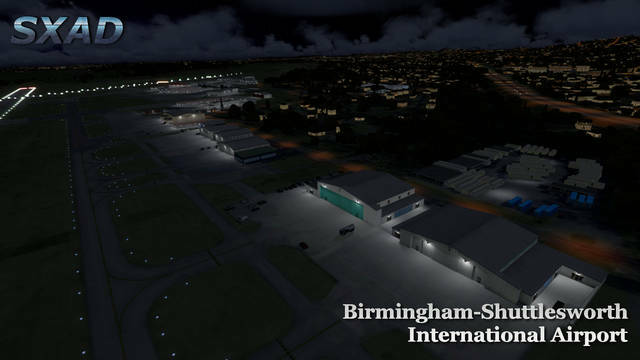 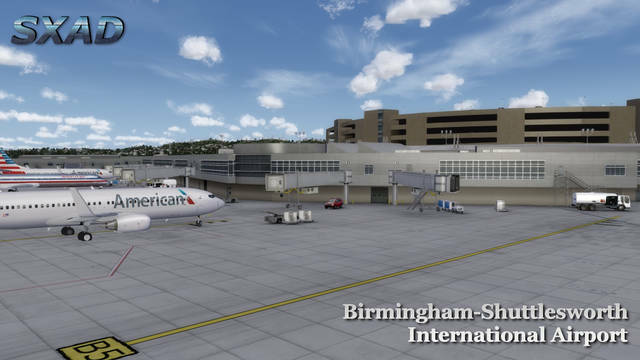 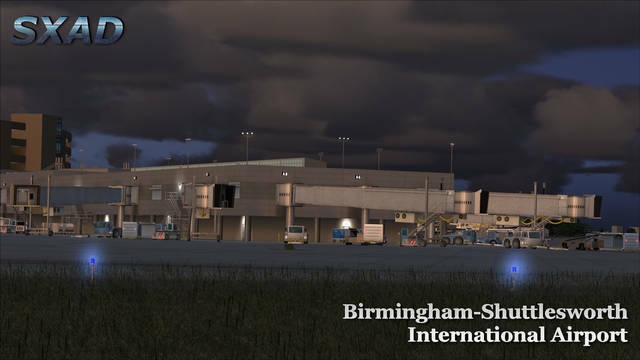 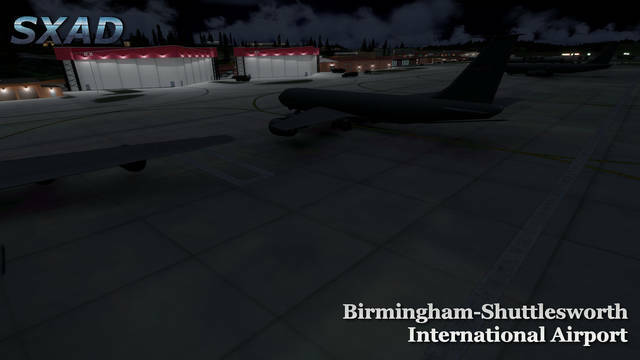 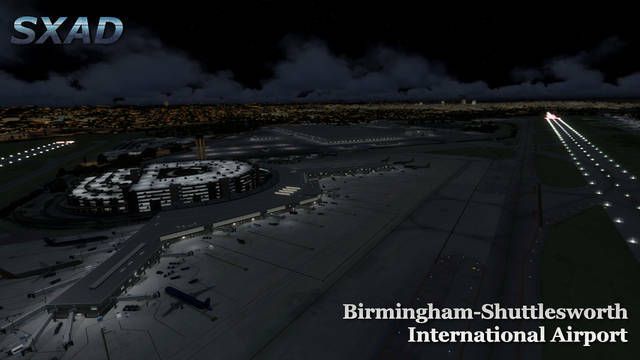 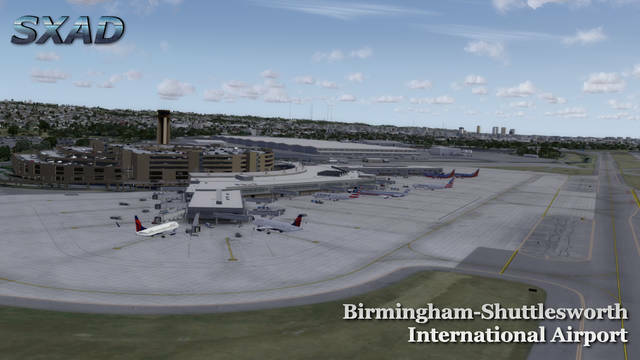 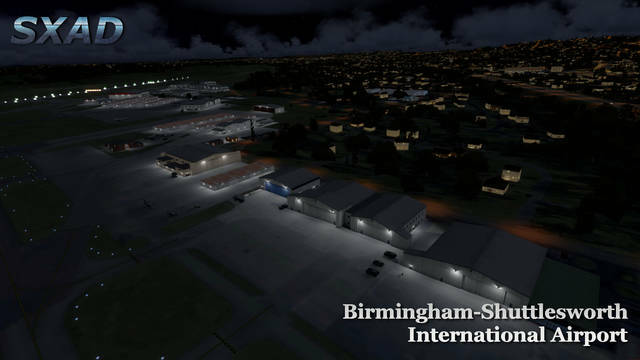 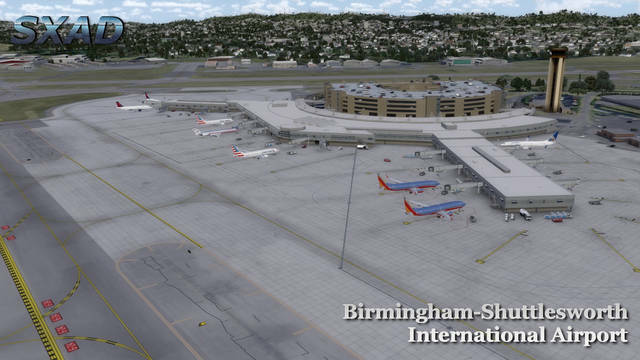 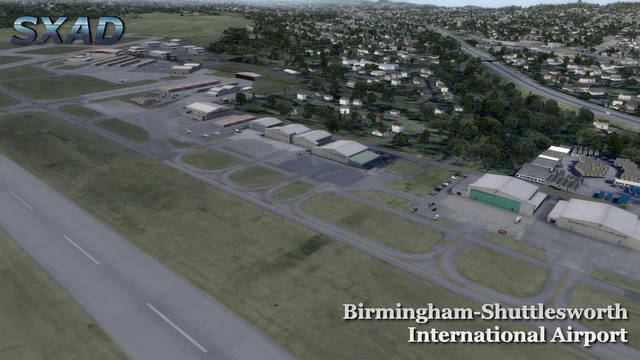 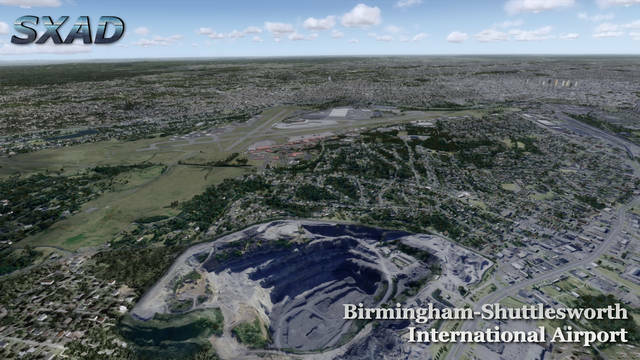 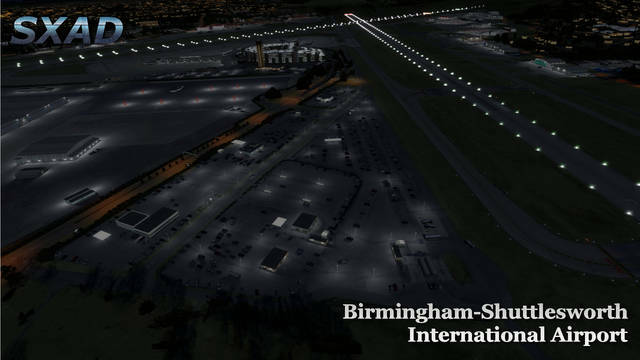 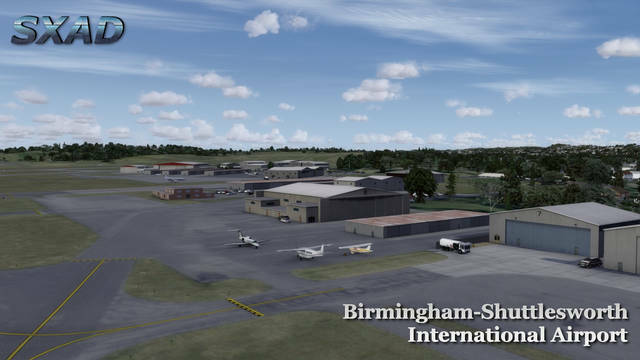 This FSX/P3D scenery package from SXAD includes a highly detailed rendition of Birmingham-Shuttlesworth International Airport (KBHM) in Alabama, USA, with custom ground textures and an area of seasonal photoscenery around the airport. 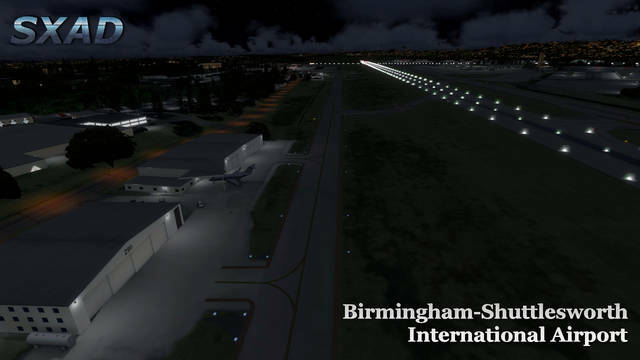 Other features include High Resolution mesh, animated SODE jetways, custom night lighting and optimisation for good frame rates.